Global Horse Culture: Pink Horse??? Disgraceful! That poor horse is so malnourished and they still expect it to pull a heavy cart. Humans are so ignorant, it must have such a horrible life in their hands. 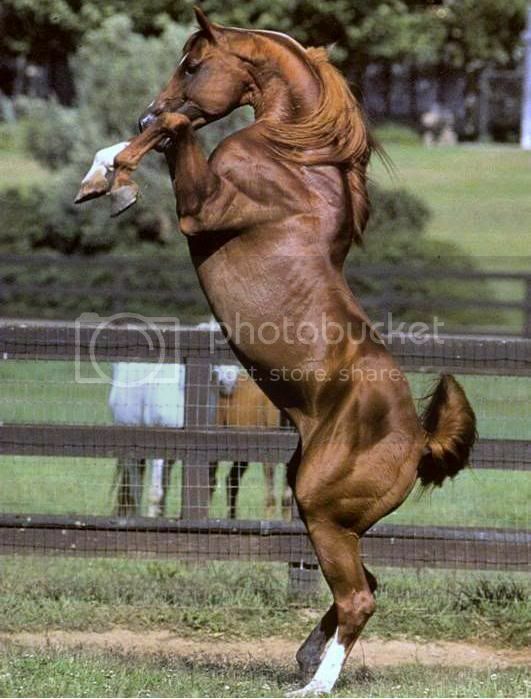 Wow look at that horse. Poor thing. Is it me or does that horse also look like his/her coat was shaved off and that is skin that was dyed pink? Kinda looks it to me. I hope that horse is ok. It's true, SB - it's terribly underweight. 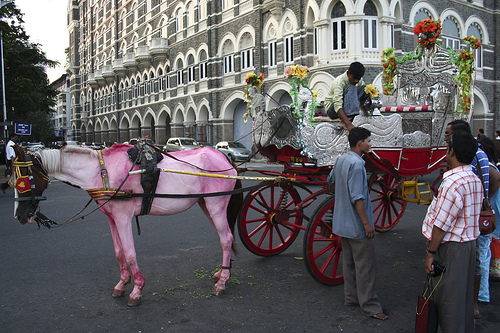 There are plenty of well-cared for horses with caring, responsible owners in India, too, of course! I had to post this one because of the strange pink paint job - it was too unusual not to include on my blog. The poor horse looks pathetic! Her neck is too thin & her hips are jutting out way to much. If they care so much about their sacred cows, they should do the same for their horses & other animals. This poor horse is emaciated, this is an example of a horse that is it not treated properly!! I hope for the best for him/her! Maybe someone will safe him/her but in the mean time i hope the owners will snap out of it an safe him/her!